Details: Enjoy a night out and support your local Tourist Center at the same time. 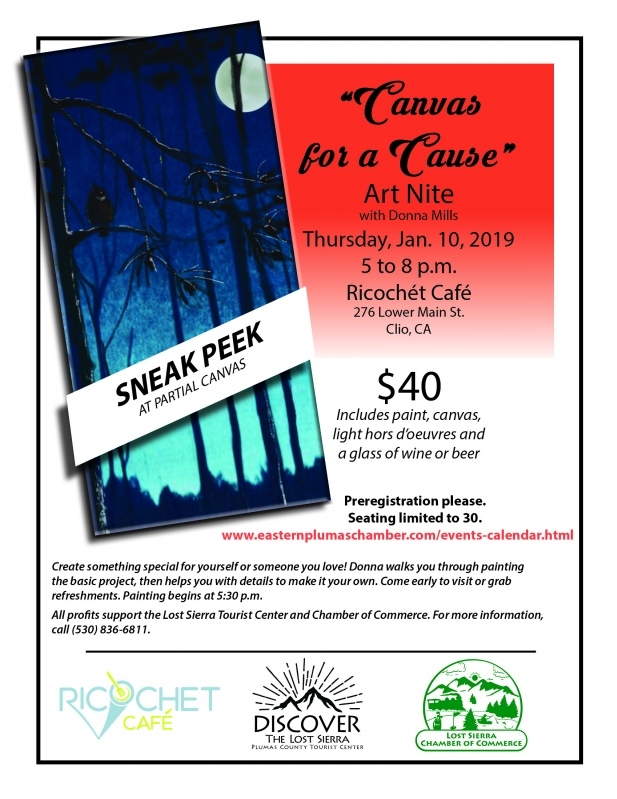 $40 guarantees your seat at Ricochet Cafe where you will have a great time with friends, painting and socializing. You create an amazing piece of art just in time for gift giving (or hanging on your own wall.) Donna Mills is back to walk you through your masterpiece. No experience necessary. We provide the paint, canvas, brushes, refreshments and fun! Bring your apron (or not) and join us at Ricochet! Register early - Seating is limited to 30 this time.